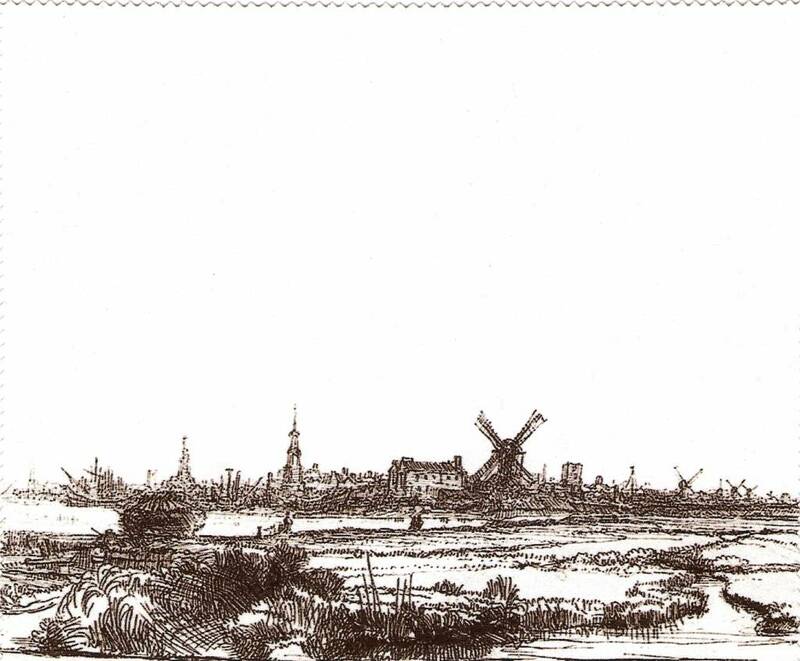 Glasses cloth, Cell phone cloth, I-pad cloth Rembrandt cloth with "View of Amsterdam" by Rembrandt. 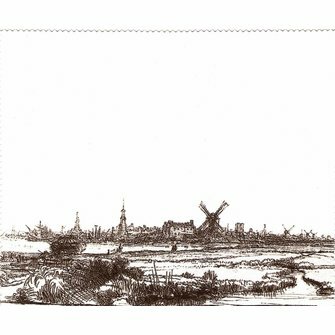 Glasses cloth, Cell phone cloth, I-pad cloth Rembrandt with "View of Amsterdam" a landscape etching by Rembrandt. It's easy to have a few of these extra, so it is possible to order these without the glasses case. The size is 15 x 15 cm.